With the increase in threats targeting non-traditional devices and cyber risk resulting in operational and safety risk, the convergence of IT (Information Technology) and OT (Operational Technology) networks is becoming critical in the OTand industrial environments. There is a lack of comprehensive solutions and tools to address the full range of OT cyber risk challenges. Together, ForeScout and SecurityMatters provide expanded capabilities and advanced features to secure OT and Industrial environment. The acquisition will bolster ForeScout’s global leadership position in device visibility across the extended enterprise with expanded capabilities and advanced features to secure OT and industrial environments. -Damiano Bolzoni, founder and CEO, SecurityMatters. 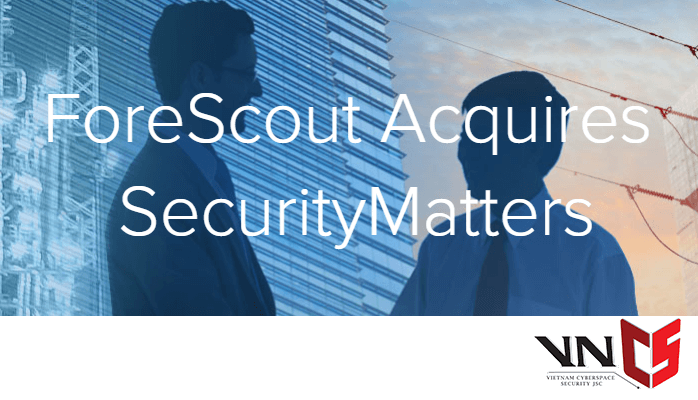 Together, ForeScout and SecurityMatters will deliver on our vision of extending visibility and control across the extended enterprise. The combined technology uniquely solves the full spectrum of OT devices. Enable dynamic network segmentation across the entire enterprise.